Microsoft has published a list of all the Xbox One and Xbox 360 games on sale this week on Xbox Live for console owners with an Xbox Live Gold subscription. There are some great options, as Forza Horizon 2 is available for $ 30, while you can buy DICE’s Battlefield: Bad Company 2 on Xbox 360 for less than $ 7. The first episode in Telltale’s Game of Thrones series, meanwhile, is available for free. The deals listed below are available through June 22. Sale prices for titles marked with an asterisk are also available for Xbox Live Silver members. Are you picking anything up this week? Let us know in the comments below. 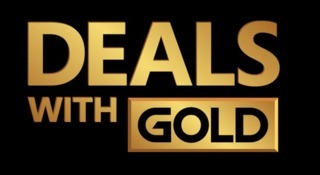 Tagged Deals, Gold, Revealed, This, Week’s, Xbox.